'Attention to detail' or 'enhanced UI experience' are not the kind of terminologies normally used in the Linux world. At least, that is how it used to be. It's all changing now. KDE 4.0 is a typical example. Developers completely revamped KDE from scratch and gave it a uniform user friendly appearance. Canonical's flagship Ubuntu is the next candidate. A lot of changes already happening and a ton of innovations are in the pipeline. As you all should remember, Ubuntu had a huge branding makeover prior to the release of Ubuntu 10.04 'Lucid Lynx'. That was the start. Project Ayatana was initiated and it became the collective project that houses user interface, design and interaction projects started by Canonical. Ubuntu Light themes was next which recently had a major update bringing more polish. Ubuntu Music Store came into existence and more user focused features started to come in. Project Ayatana is redefining Ubuntu altogether. With a lot of newbie users, Ubuntu had to do something about the Installer. Unlike Windows counterparts who most probably will have their OS pre installed, every Ubuntu user will most probably have to do the installation on their own. So Installer overhaul was something that needed urgent attention. And changes are coming. 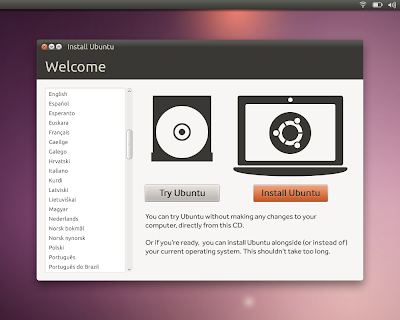 Massive Ubuntu 10.10 Installer Updates are Planned. I won't say that Ubuntu Me Menu is a finished project yet, it needs to be a lot more than that. Me Menu was introduced during the last Ubuntu 10.04 release and its already a huge hit among the users. 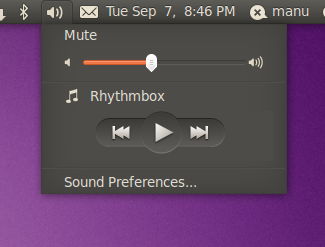 Ubuntu 10.10 is laying huge focus on the sound menu this time. People should be able to "easily change sound volume and control music playback, there should be a unified sound menu taking the place of the Gnome mixer_applet2 and the notification area items for Rhythmbox, Banshee, and Amarok." Software Center is evolving beautifully. A lot of changes actually. A new Paid Apps section, a 'Where is it' feature which shows where your installed applications are, more UI polish and even Addons support for applications. Ubuntu 10.10 Software Center is indeed the application that received maximum attention. These are not all. Things yet to come include new sound theme, possibly a new font, new wallpapers, more community contributed themes to name a few. Update: As our readers have pointed out, two other developments to watch are the introduction of gestures with multitouch in Ubuntu 10.10 and also the 100 papercuts project which is solely meant to "improve user experience in Ubuntu by identifying 100 small points of pain for users, or "paper cuts", and healing them!". Thats all for now. Watch this space.